5. Getting to hang out at Google in Sydney was a highlight all of its own! Seeing the unicycles and scooters available for staff to ride between buildings, stepping out of the lifts to enter a space that was the replica of a train carriage, and functional, creative and totally cool working spaces with flipping walls, hidden pull-out blackboards, and lots of colour/neon/balloons, made for a motivating, eye-opening and inspiring couple of days. It certainly got me thinking what I can do to make my classroom a more exciting place in which kids can learn and think. 4. 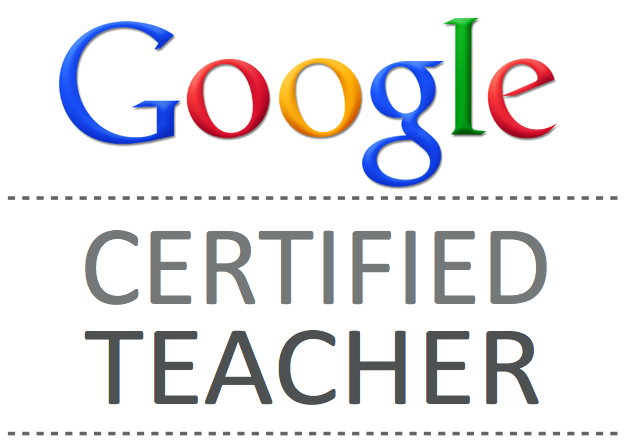 Over the two days of the Google Teacher Academy (GTA), there was a real focus on celebrating success, which tied in nicely with some of the reading I have been doing recently on Marzano's "The Art and Science of Teaching". At the GTA we celebrated with a combination of whooping, music, party poppers, gold stars and written feedback. Celebrations of success happened regularly, both anonymously and in person, and for both big and small achievements. How do we truly and regularly celebrate student progress - big and small - in the classroom? 3. Listening to our mentor groups talk about Google apps and tools that aren't as well-known as the core GAFE suite gave me some take-home ideas that I want to start using straight away. Being able to search newspapers from all over the world and right back to the 1800s to see what was happening at the time, people's reactions to world events and so on... Using Google Earth to let kids see first-hand the effects of rising sea-levels... Google Correlate allows people to look at trends in real-world data, in countries around the world.... Love finding new sites and tools to explore with the kids! 2. Connections with other educators - The opportunity to connect with, work alongside of, and receive feedback from 50+ passionate educators, all effecting change in the field of education, was an exciting and professionally life-changing experience. I'm looking forward to continuing my connections with these awesome people online. 1. For a couple of years now I have been encouraging teachers to give students opportunities to be creative, innovative collaborators; to teach students entrepreneurial skills that will help them achieve success in the workforce they will enter at the end of their school careers. However, not having come from a business background myself, I didn't really have the skills or know-how to do that effectively. My attempts to foster creativity were haphazard and not necessarily linked to a meaningful purpose. Being led through the Design Thinking process by Tom and Hamish from Notosh really gave me a tangible way of leading students through the steps of immersion, synthesis, ideation and prototyping. I would strongly encourage you to find out more about Design Thinking as a way to move forward in the area of fostering creativity. What do you get when you mix 200 students, 4 schools, several teachers and one brilliant idea on Twitter? An interstate collaborative sustainability project, of course! Brett Salakas, from St Kevin's in Sydney (@MRsalakas), put out a tweet recently asking if anyone was interested in using Google Hangouts to launch a collaborative project focused on his upcoming conservation unit. 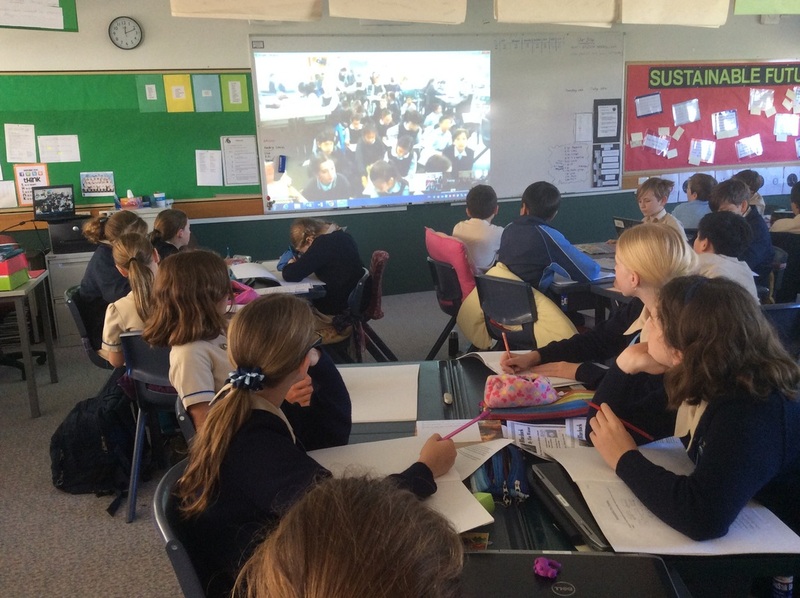 After a few enthusiastic responses, several emails back and forth and one test call later, students on the Gold Coast were today listening to Mr Salakas in Sydney explain about carbon footprints, biomes and how all this relates to Minecraft and Antarctica! Students across the country are now looking forward to this time next week when they can again meet up with their new learning buddies, in preparation for their collaborative inquiries in the coming weeks. Exciting times! In a previous post I talked about my plans to implement Alan November's idea of a class scribe. I started the scribe program in my Year 6 classroom three days ago. This morning, one of my student's parents emailed me and said that as her son would be home sick for a couple of days, could she please have some work for him to complete at home. I suggested that she get him to look at the class blog, in which the previous day's scribe had posted links to websites we had explored, photos of work samples she had completed and even a video of a dance practice in preparation for the school fair. This evening I came home to see that the boy had commented on the blog post, "This helped me a lot as I have been sick over the last few days." Since then I haven't been able to wipe the smile off my face... How motivational for that student scribe to see that the work she so carefully detailed has been of tangible use to one of her peers. And how fantastic for me that the student who was away could independently source the work he needed to catch up on! The level of motivation and excitement in the classroom program has already lifted noticeably this week, and I am looking forward with eager anticipation to see how the program develops over the coming weeks and months. Yesterday I launched a "deTECHtives" class for the teachers at my school; an optional, after-school, fortnightly program designed to introduce other teachers to various apps and websites that can be used in an educational setting. Our focus was padlet and Today's Meet. If you haven't used these sites, padlet is a collaborative, online space that can be tailored to your specific needs in a number of ways. Users can post text, images, videos and more, and then content can be converted to a pdf, embedded in a blog or exported in various ways. Today's Meet is designed as a back channel. Users can post questions, comments and website links during a lesson or meeting, and the lists can then be printed out as a transcript. The session was a great time of sharing amongst colleagues. However, the thing that excited me more than anything was when, not even 24 hours after our first "deTECHtives" session, one of my colleagues came rushing into my room saying that her students were on her very first padlet wall, and were commenting before she even had a chance to log on. They were so motivated and excited, and eager to experiment in this new online format. Sometimes it is so hard to get out of our comfort zone and try something new. It's a great reminder when teachers see firsthand, the benefits that students gain from a teacher who is willing to take risks and give things a go. Not everything went perfectly the first time - there was a browser issue that was quickly resolved - but it didn't stop her from getting out there and trying something new. What can you try tomorrow that will take you out of your comfort zone? Jump in!